What Camera Is He Using? Yeah, the BMPCC4K is definitely on my list. Wish it had a tilting screen and / or was a little more gimbal friendly. Still thinking about the X-T3 though... or the Pansonic S1 if they ever develop a reasonable 16-35mm lens. Since 90% of my business is from stills so that means the BMPCC4K would have to be a video-only camera for me. Could go the GH5 route but I think X-T3 might be a bit better for stills and - all things being equal - might give me a bit better low light performance / dynamic range than a GH5 with the aps-c size sensor of the X-T3. If the Z6 had 10-bit internal I could live with that (even though it seems like there is no prospect of Z6 ever having 4K 60fps). Heck, my friend still shoots real estate video in glorious 1080p on his D750. Yeah TBH I don't care about 4k at all, much rather have dynamic range or 10 bit. As long as its a good 1080p codec I really can't tell the difference. The XT3 is definitely nice. Dynamic range is better than the GH5 in my experience in video. Dynamic range as well as low light performance in photos really blows the GH5 away. If you are looking for a hybrid camera its hard to beat. Yes, shared nodes are really useful for making a scene adjustment ripple across all shots in a scene. It's something more useful to me in the main grade after I get everything in my timeline's color space. For me, what I like about pre and post-clips is that I typically have 2 or 3 nodes in my pre grade and the purpose of my pre-clip is just to prepare footage for my main grade. For example, a team I work with frequently really likes slightly lifted shadow detail, so I'll give a little bump to shadow detail then run the color space transform in my pre-clip. If one camera is set up really badly one day and I need two different pre-clips for that camera, I'll just make multiple incrementing numbered groups for that camera, so I've never had a reason to put a shot in multiple groups. The other thing, I really like about groups is that you get a little colored visual icon of all shots in a current group that appear on the thumbnails in the timeline. This makes for a nice visual sanity check when I'm scanning through a ton of footage on a long project. Usually, the camera used is fairly obvious from A cams, to drones, to body cams by the thumbnail on the timeline so the visual reference of thumbnail and colored group icon is a nice check that I've prepped all my footage correctly. Ultimately, it all depends on the type of work you are doing. If I was doing feature work that is all shot on one camera type my system wouldn't be very useful. But I do a lot of doc work, and outdoorsy adventure stuff that are typically shot on all types of cameras and conditions, so it can be really useful for keeping things organized. One last trick with the groups is that if I'm also mixing 6k, 4k, and 2k footage, I can throw a little sharpening or blurring into the post-clip section to match up visual detail between cameras. Then use the timeline grade to do any overall finishing if needed. Nice to hear your workflow. If you were doing feature work with one camera then you might be using groups to match lenses! Or if not that, then you could use groups for scenes, which would be handy. I really do like Resolve for how it is so flexible, but it really adds to the learning curve! For reference, the window frames should be white. (or close to white). As you can probably tell from the clip, I shoot with pretty low saturation. Maybe I need to bump saturation up??? I've had a go at grading this. It's probably terrible and I have no idea what you would consider a good grade in the business, but I've white balanced on the two windows and faded the shots between those two, so see how you go. Happy to share my settings if they are of interest. Wish there was a way to get the meta data for clips regarding the gamma / gamut / exposure value (meaning, exif for video clips). That would be very handy!! 10-bit is really where it's at for that lovely thick colour look. I find that the look of RAW is wonderful, but to my eye 10-bit video with a half-decent codec and little-to-no-sharpening has most of the advantages of that look. You can take a sledge-hammer to the footage in post and it doesn't even bat an eyelid, which is great if you're shooting flat LOG profiles, because converting them to rec709 is the equivalent of a very large hammer. Not such a terrible choice, as arguably the Nikon D750 was the best ever 1080 DSLR made. Here's what I ended up with.. As I said, no idea if it's any good or not, but happy to share what I did if it is of interest. There's two versions - the second one is a little different with contrast and saturation, but the WB treatment is still the same. They're both quite saturated though (look at the liquor bottles). Thanks for doing the grade. I think in the real world it was more saturated than that, but I don't know how much saturation the files can take before getting all weird. Because... Sony. In the liquor bottles those reds are very saturated, although the other colours may not have been, maybe that's a Sony thing perhaps? The greens in the foliage through the windows are pretty saturated too. I'm not sure how much improvement there would be from changing cameras, and how much of it is just the actual lighting in the location. Obviously with 10-bit files you can push the colour around a bit easier, but it would be a lot of work to try and get rid of the green/purple behaviour of this shot. What comes to mind is keying the walls and flattening the saturation, obviously a different key for the green vs the blue walls. There are a few ways to reduce colour variation, one is the Colour Compressor (I think that's what it's called?) and another is just to partially desaturate the area and tint it to the desired colour, but these are a lot of work in post. So, I watched the 2Gems Media's video a few times and some of their other videos on their channel. It's an interesting modern style that he's obviously using to much success. I wouldn't call it a cinematic style. He's not afraid to let his whites clip and it looks like he degrains his footage and doesn't add any back, but just leaves it very clean. The most important thing he does is get a nice neutral white balance. Also, he seem to push overall exposure into the upper range. I'm not saying he lifts blacks, but his middle exposure area feels higher than normal. Conversely, for a cinema look, I'd push everything much darker. I'm sure this is to make a home feel warm and inviting. I also noticed he seems to put a soft glow around his highlights-- or he has a filter that does it. In any case, I put a little glow at the very top of the exposure range. Didn't use any secondaries or keys, or animate any values. So, I just let the beginning remain a bit green since it's getting the bounce off the walls anyway. It is a bit of a challenging shot with the mix of light sources and colors, so I just aimed for a fairly neutral white balance that I just tweaked a tad after pulling a white sample off the back window frame. If you can afford the Z ecosystem, go the Z6 way, if not, X-T3 will be sufficient for what you do and I big upgrade of what you are having right now. GH5 is a video workhorse but not a great photo camera (I did a couple photo jobs with one last summer), especially for someone do 90% photos. If it was the other way around (90% videos) then GH5 is a great idea. Yeah the XT3 is hard to beat. Unless you really need the IBIS of the GH5. The stills dynamic range on the XT3 is so good I find that I don't think full frame would offer much of an advantage, other than low light performance and FOV. For someone that does 90% photo, going full frame has its advantages (both realistically and imaginative!) and the Z right now is an amazing proposal winning in a lot of details. GH5 for me is a workhorse video camera with decent photo capabilities (10% or less). X-T3 is one of the best hybrids, truly can go 50%-50% if anyone wants, and the price is right. The liquor bottles and the plants are saturated, while the walls are under saturated. I appreciate your suggestions about adjusting the color through color compressor and desaturating other colors (pardon the American spelling), but as you noted, "these are a lot of work in post." So I guess I would kindly ask then if you don't mind taking another look at the original video (by 2gems) and maybe see if you have some suggestions for me for IN CAMERA changes to make? Do you think I am shooting too flat or too desaturated? Your best guess is appreciated. Thanks for all the work you did on this. i really appreciate it. At least, let me ask you how you added the glow to the highlights? Also, your grade seems to avoid some of the nasty color mashups on the walls (where in my video there seems to be kind of a purplish / greenish collision... don't know how else to describe it). 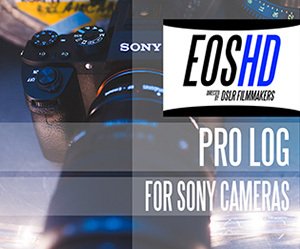 I am certainly not opposed to the Z6... my friend shoots real estate videos on his D750 (I sold my D750 about two months before the Z6 came out because I figured I would probably get a Z6... didn't work out that way). I think if the Z6 had 10-bit 4:2:2 internal I would get one, even though it doesn't have any opportunity for getting 4K 60fps. But who knows??? Maybe when I see the RAW footage out of the Z6 in to an Atomos recorder I will decide to get both. The Panasonic S1 looks PROMISING because (if I remember correctly) you will eventually be able to shoot 10-bit 4:2:2 internal with V Log (all with a paid update). 2) 4K 60fps will be in Super 35 format, but Panasonic doesn't have any aps-c lenses. And I need WIDE lenses. There is a Nikon secret sauce involved which, personally, I found more magical than Canon! The Z6 with the 14-30mm is an amazing combo for what you do, and adding the V and a few extras, is a total of 4000$€£ but in my opinion near the top for both photos and videos. The X-T3, extras and the good 10-22mm stabilized is a 3000$€£ investment. The Panasonic is by far the most expensive and the least available at all! Hey Mark, I'm really glad you found it helpful! It was kind of fun to take a crack at this type of grading since it's not a look I normally do, but it's nice and certainly has some utility. I don't know if you use Resolve, but I'll attach the powergrade that you are free to use. Otherwise, I'll go through my basic approach and thought process on this. Finding a general system that works for me, helps me compartmentalize what I'm doing. Overall though, I try to keep things simple and generally avoid secondaries or masks unless I'm trying to fix problems in footage. Roll Off - This is just a curve I use to roll off highlights before converting to my working color space, so I could preserve a little more detail. I start dropping highlights from 50% increasing to 100%. A bit like forcing high dynamic range into an image. Color Transform - This gets me into my timeline's color space as soon as possible where I prefer to work. In this case, I set it to sRGB. White Balance - Used the eyedropper on something I want white in the scene. Then tweak a little. Sometimes take multiple samples and average between them. Exposure - Just gain control until my mids are where I want them. Then go back and tweak my Roll Off if I want to save more highlights. Contrast - Just a small amount of Contrast since the ref video was pretty contrasty. Could use an S-Curve here. Saturation - Dial in sat after setting contrast or gamma. Contrast Pop - I like to put a touch of this in when it works. It's a different kind of contrast. If you've used Nik tools, this is pretty much the same thing as Tonal Contrast. Can look weird if dialed too high. Glow - this is just the glow effect filter in Davinci. I set the threshold to 1 since I was pushing highlights out of range, so it added some glow to anything out of legal range. Gives a soft edge. Very low spread. By default it's really large. Sharpen optional. Did a micro amount. Grain would go last, but I didn't use any on this. One note about the power grade: I think contrast pop, degrain, color space transform, and maybe glow are only in the full version of resolve. You can probably find equivalents or leave them out. An slog2 LUT could potentially replace the Color Space Transform since I'm compressing highlights before it anyway. BTW, IMO the Sony you shot your test footage with is pretty nice. By degraining at the beginning, it smooths out the 8 bitness of the image and it had more dynamic range than I could use. I'm sure if I worked with it regularly and graded a variety of shots with it, I'd develop a more robust pipeline to take care of any quirks it might have. No idea how skins look in it though. Still, the Z6 has me curious. But I'm waiting to see if they add internal raw at some point..
Towds grade is quite nice, try his power grades and see how you like them. In Resolve you can save the whole thing as a power grade and apply it to each shot, and of course you can adjust each node, but remember you can also adjust the strength of each node in the Key -> Key Output adjustment, so you can dial back any node. You can also save each part of a grade separately and build the grade from these, for example you might have two WB presets, a CST node for each camera, etc and then by right-clicking and selecting Append Node Graph it will add that node to your existing grade, so you can just build it up. Naming the grades "1 - WB warm" "1 - WB cool" "2 - CST a6300" "2 - CST drone" will enable you to quickly choose a "1" node, then a "2" node, etc and not miss any steps. This guy isn't a wizard with colour grading. Whatever he's doing, it's absolutely not some sophisticated post colouring workflow. I watched an early video "Forrestdale residence" where the WB from the drone was too purple (because the ground is mostly green) and so the garden beds are naturally purple, but he hasn't corrected it. This is a basic WB adjustment that he hasn't made. Also, the video "Park Townhomes Herston v1" has two interview shots early in the video and they've edited b-roll in-between them, which is great, because they both have completely different WB and Gamma curves, so much so that I noticed even with the gap. Don't get me wrong, some of his videos look great and from a non-colour perspective seem very nice, he's just not able to get consistently great results, which he would be doing if he was great at colour grading difficult footage. He also clips his highlights as Towd mentioned, so there's that too. I suspect he's setting WB in-camera and probably applying some kind of LUT or basic grading package like Film Convert Pro where you adjust sliders or choose pre-sets. 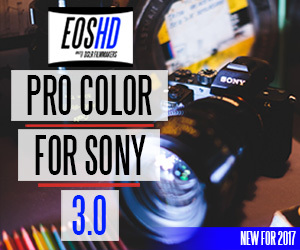 This makes total sense and the guy is a professional videographer, not a professional colourist, so it's in his best interests to be pumping these things out, not fussing over post-processing. One trick for controlling gamma and controlling contrast is to use two contrast nodes. The first should have contrast <1 to reduce the contrast and get the whole DR into the legal range. The second one should increase the contrast again to look good. This has the advantage of the second contrast will compress highlights and shadows but not push them out of legal range, so it's a way of keeping the DR in the shot but also controlling how much visual contrast there is in shot. As a bonus, by adjusting the Pivot on the second contrast node, you can adjust exposure, also without pushing anything out of range. This is a nice way to make all the shots equal brightness, and for R/E where they like the properties to look light and spacious might be a good way to push that to where you want it for that high-key look. Take custom WB with a card on every shot. If you use a monitor or can have display LUTs then pump the saturation right-up so you can see any colour problems really easily on set, but you don't want to bake these into the footage. You can also have a photo mode with the saturation right up and either look at the screen or take a couple of stills before rolling video, to show you the colours. Carry around a set of bulbs and replace any that aren't working (I think I've heard R/E videographers say they do this - Parker Walbeck perhaps). The offending colours are the green/purple, which IIRC are normally florescent tubes? If bulbs are yellow compared with daylight then that's fine because it makes the home look warm and inviting, which is a good thing. Yellow/blue colours aren't a problem. If you can't replace a globe then just avoid the mixed lighting shots. Turn the bad light off and lighten in post, or light with your own light-source for that shot (carrying a single tungsten work-lamp and a light-stand might be a good idea anyway as they're hugely powerful and really cheap) or just play the angles - no-one says you have to be able to watch the video and make a mental 3D map of the house. I've looked at house photos for decades when house-hunting and many of them are so ambiguous that the layout isn't clear even if you study the photos for hours! Depending on your budget, I've seen high-end stills photographers spend an hour setting up huge numbers of lights in a room for one photograph, almost like they were doing dodge-and-burn in real life with little LED lights. This might not seem practical or economical, but if you want to get into higher budget videos then a good strategy is to deliver a video that looks like it cost a lot more than what the client paid, and then not only can you satisfy the customer but when you want to try and book the next shoot with a higher budget you will have an example of creating that higher quality work. Remember that the job of the video is to get people to come to the house and talk to the agent, so it's a brochure, so anything that isn't photogenic might be able to get cut from the edit. You know @kye, when I was reviewing the 2 Gems Media stuff, I got generally a similar impression. His newer stuff is better than some of his early stuff. His post process may not be much more than degraining, tweaking exposure, adding glow, and adjusting skin tones (if that). That would explain the clipped highlights. Plus the standard (non-log, Cine-D) profiles can deliver really nice results with minimal work. This way he can just crank out videos with minimal effort. Whatever he's doing, it's still a nice enough end product that it seems to be keeping him busy. Well I just had a chance to look at your videos @Mark Romero 2 and his videos and he can get away with a bunch more because he is selling a lifestyle and a story while you’re doing a walk through. Of course, he seems to be shooting videos for complexes as opposed to a lot of single family homes. But when you have actors or the realtors posing as homeowners, it’s easy not to notice any flaws or lack of DR. He’s also does shorter shots with more edits where your style seems to be more of a traditional walk through. And as a side note... his use of hyper lapses is a bit much. But I digress, I think your color looks okay. The real concern, if I were you, would be the YouTube compression. I think I remember reading somewhere that it is better to upload a 1080p video as 4K instead of an actual 4K video if you don’t get a ton of views because it denotes more bitrate to your videos that the algorithm wouldn’t normally give you. With that being said, maybe a GH5 with its 10bit would make more sense. 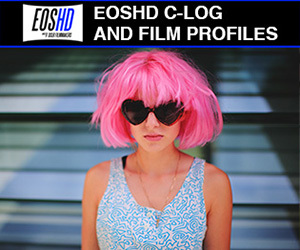 As @Towd said, the CineLikeD Profile will give you most of the DR you’re after and that solid 1080p will give you more bitrate than the 4K you’re shooting with the a6500. Also, didn’t you say that these jobs are for medium pay and a quick turnaround? If you’re spending hours on the edit/grade, I’d assume you’re spending too much time? @Towd you might be right that he's shooting an in-camera profile and just being careful to WB. That would make his workflow even faster, which as @mercer points out, is exactly what you want to have from a business perspective. In terms of getting good video from your Sony, if you can get a bit of noise into the footage before it's saved to the card then shooting 4K 8-bit and downscaling in post to 1080 may have almost the same benefits at having 10-bit. I'd suggest dialling the NR as low as possible for this reason (assuming you haven't already). The Sony cameras aren't the best for colours, but we're really being picky here, and they should be fine to replicate the efforts of someone who looks like they don't adjust WB in post at all. Considering this is for business purposes where simplicity is best, perhaps setup a test environment and start with the camera on the simplest settings possible. 4K with a standard colour profile perhaps. Shoot it with proper WB across each of the profiles, then look at the footage and see where the problems are and what you might need to do to fix them, perhaps tweaking each profile to work out how good it can be in-camera, and only then if they don't work would you add in complexity of shooting in LOG and having to grade at all. I used to read audio technician magazines for years and the main theme in the magazines was that small business owners were always lusting after exotic microphones and luxury pre-amps when their clients don't notice and they haven't had a holiday in a decade and they should just take their kids to The Grand Canyon and watch a few sunsets with their wife. The Nikon Z 14-30mm f4 S is coming very very soon. You can already pre order it. Thanks to everyone who has replied. Really appreciate all the input and tips. Here is the latest video I did over the weekend. I think overall the colors are a bit better, as I am becoming a bit more proficient with the qualifier tool. There are still some color casts, but I think that they are a bit better controlled (for the interiors, at least). As for the backyard shots, it appears to me that some of the brightest clouds have a pinkish / magenta tinge to them. Is anyone else seeing that? Mostly in the bright part of the clouds along the horizon, starting at the 1:19 mark. Did I just grade those exterior shots too warm?? ?